NEW DELHI: Grappling with the likely fallout of the US government’s proposed H-1B visa reform bill in the US House of Representatives, CP Gurnani, MD & CEO, Tech MahindraBSE -4.23 %, hopes that things will become better once Prime Minister Narendra Modi meets US President Donald Trump, most likely in June. 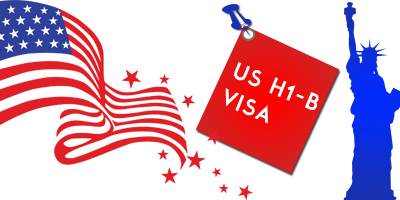 A legislation that calls for doubling the minimum salary of H-1B visa holders to $130,000 from the current minimum wage of $60,000, has been introduced in US House of Representatives — a move that could badly impact Indian techies in the US. “President Trump (already) had a conversation with Prime Minister Modi. I am sure they will meet very soon. Both of them have a background (Trump has a background of running businesses and Modi is clearly a pro-business prime minister) and both will definitely find a meeting ground,” Gurnani told BTVi in an interview. “Prime Minister Modi is not shy of raising issues or putting issues on the table and neither is Trump. So I do believe that this meeting can happen as early as June and if this meeting happens in June there should be a positive outcome,” he added. “Similarly we believe that we contribute to America with very high skilled work force because we are reacting to a demand-supply. The reality is that in science, technology, engineering and mathematics, the US needs that smart capital. So it’s a win-win for both India and America,” Gurnani added.